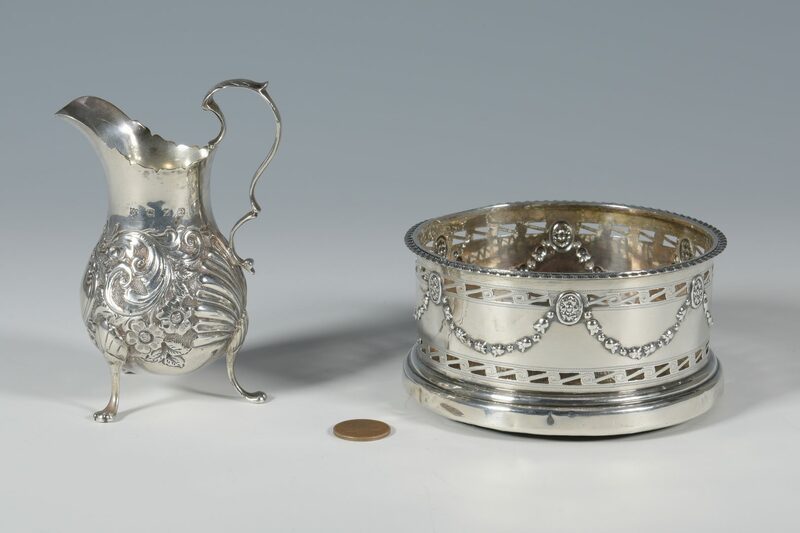 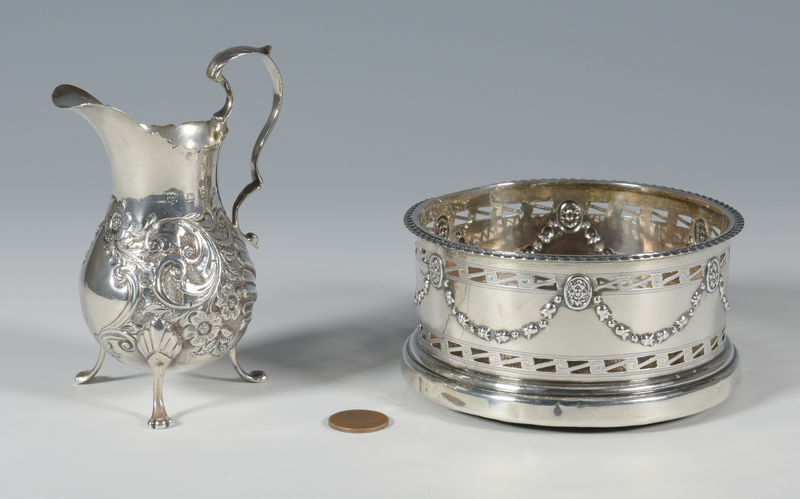 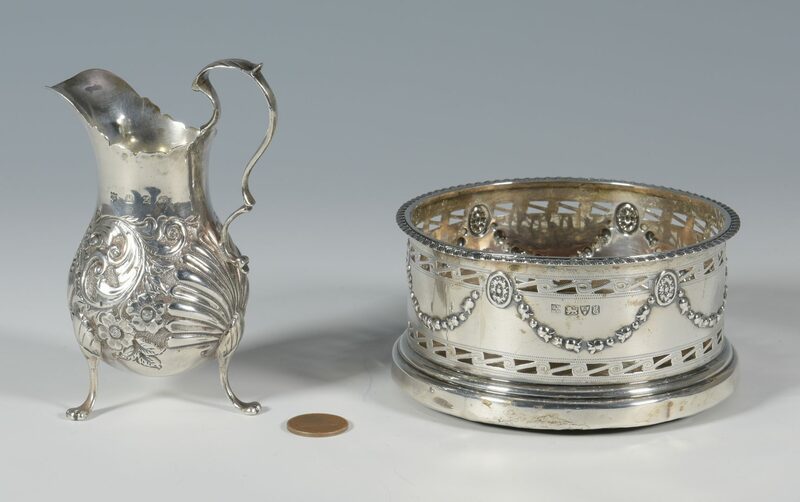 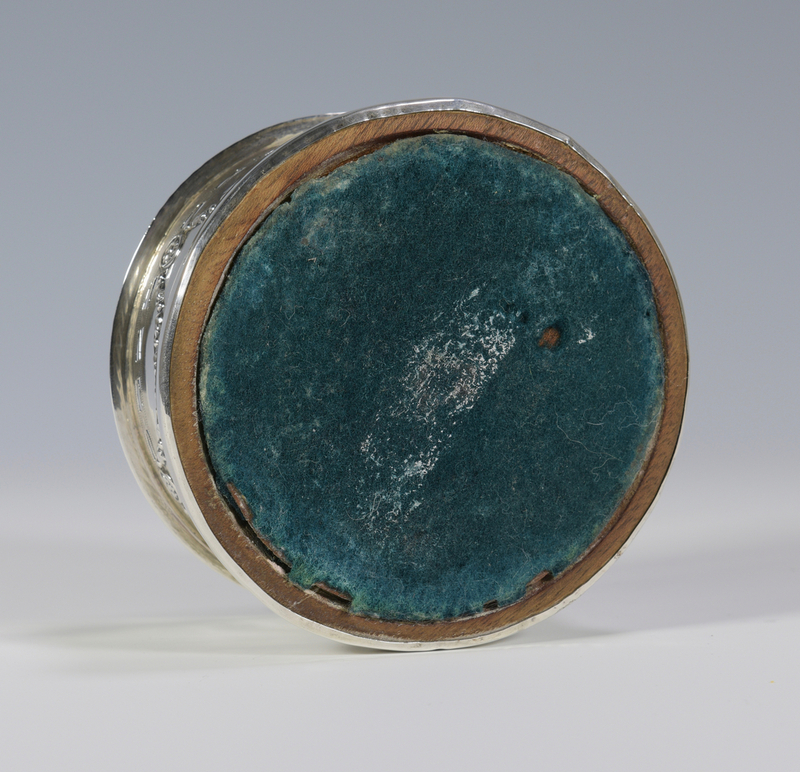 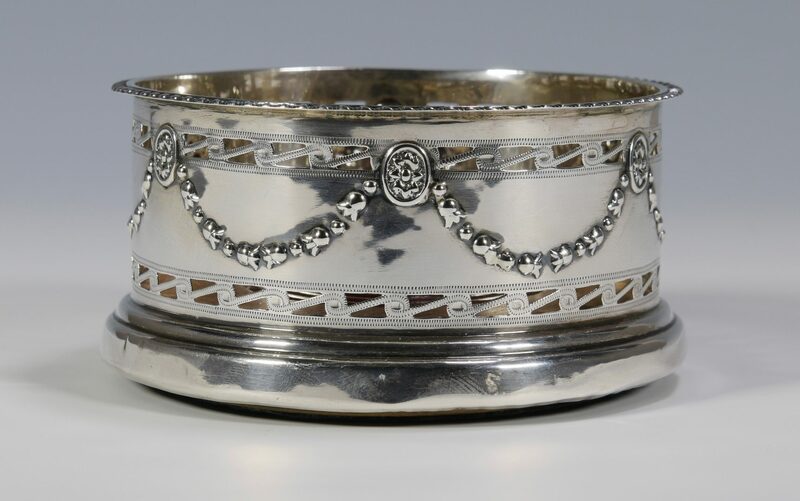 1st item: Sterling silver wine coaster, pierced sides with applied swag motif, wood base; marks for Chester, 1905-1906, George Nathan and Ridley Hayes. 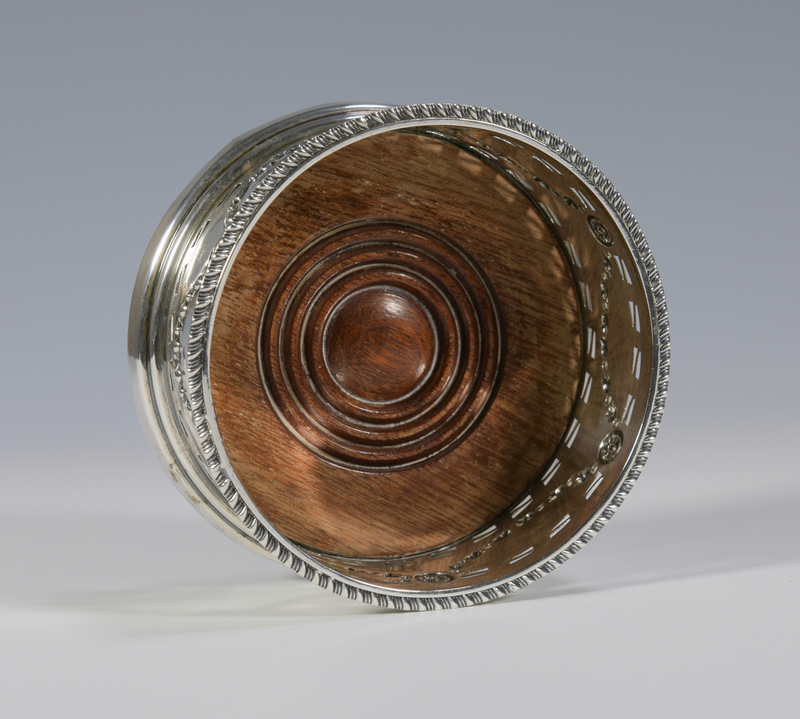 2" H x 4 1/4" diam. 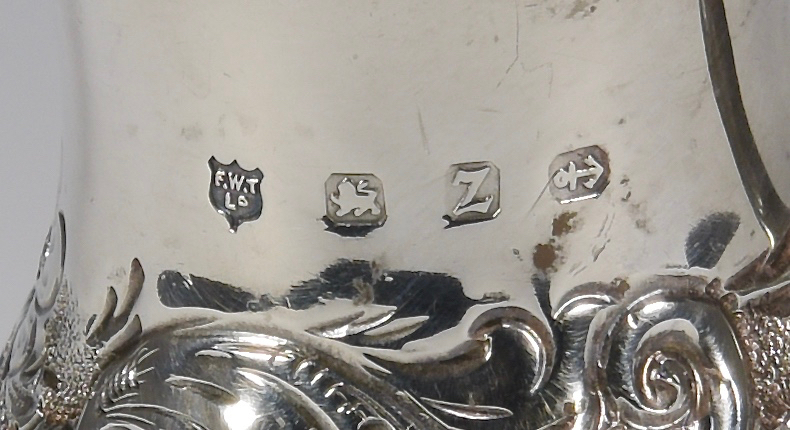 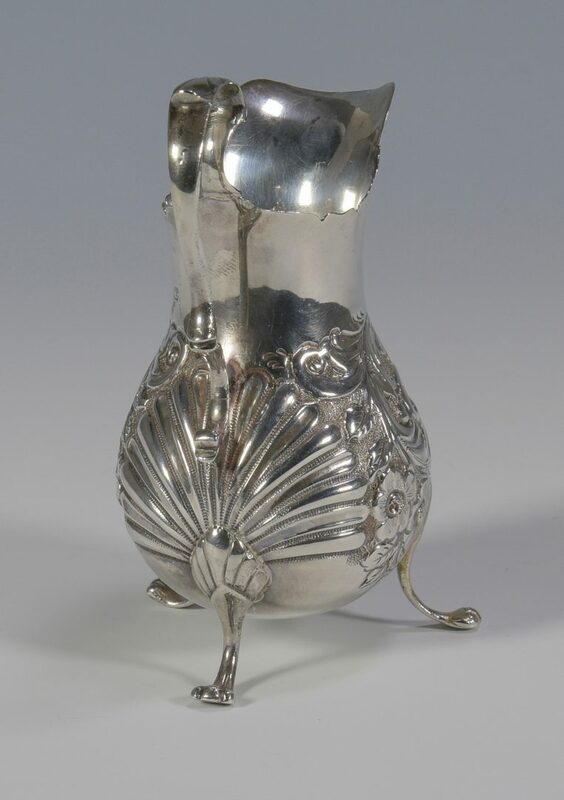 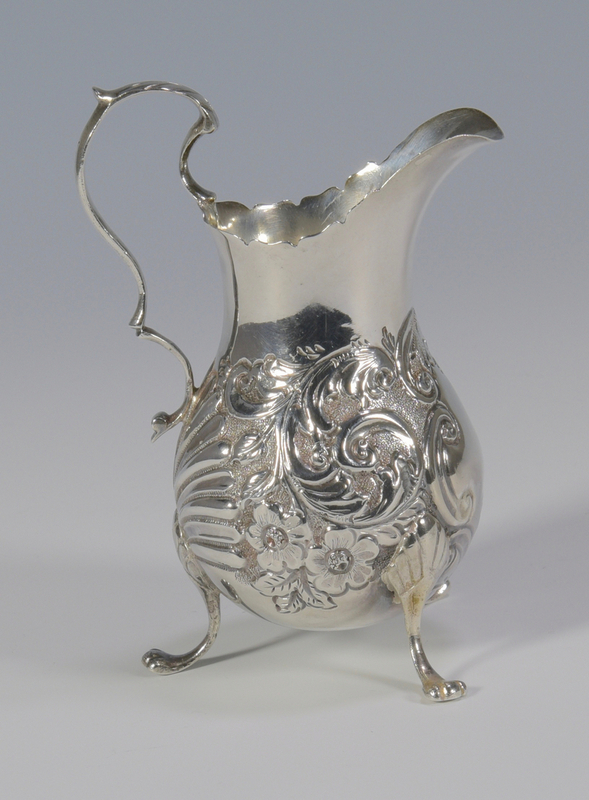 2nd item: Sterling cream jug in the Rococo Revival style, marks for Frederick Street Works, Birmingham, Sterling, 1899. 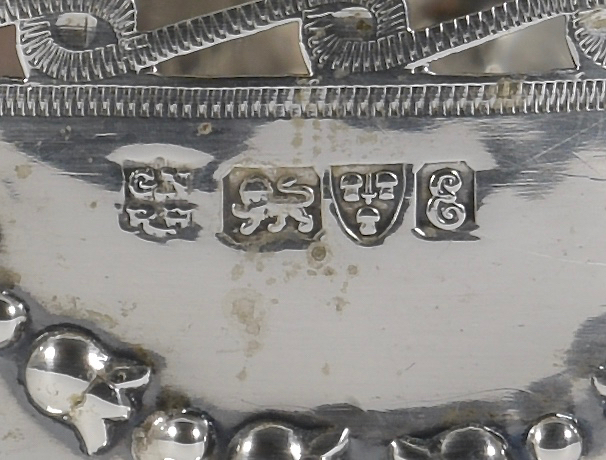 4 1/4" H. 3.08 oz troy. 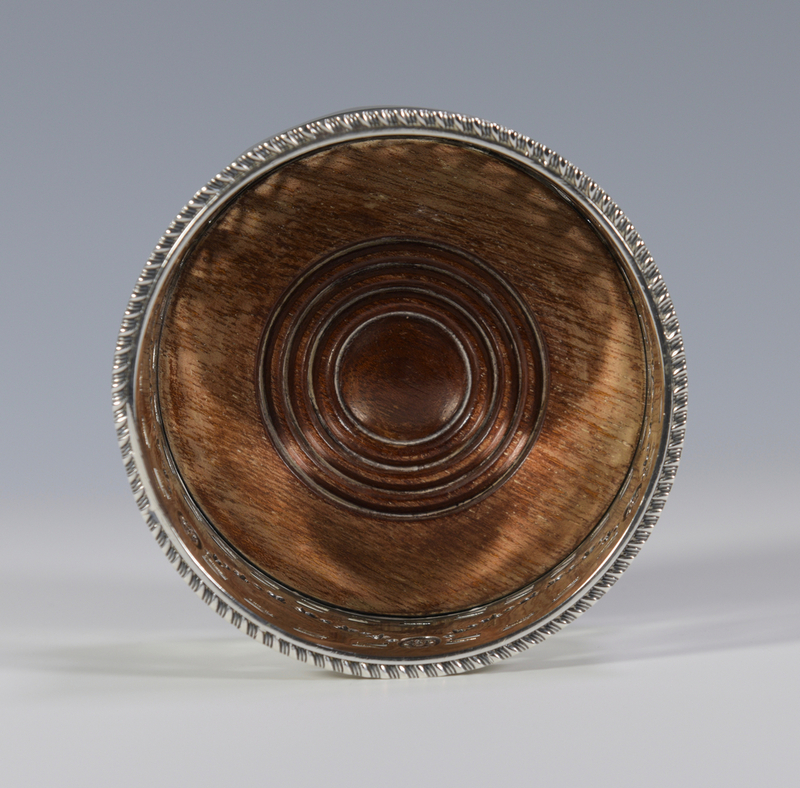 CONDITION: Some small dents to rim of wine coaster. 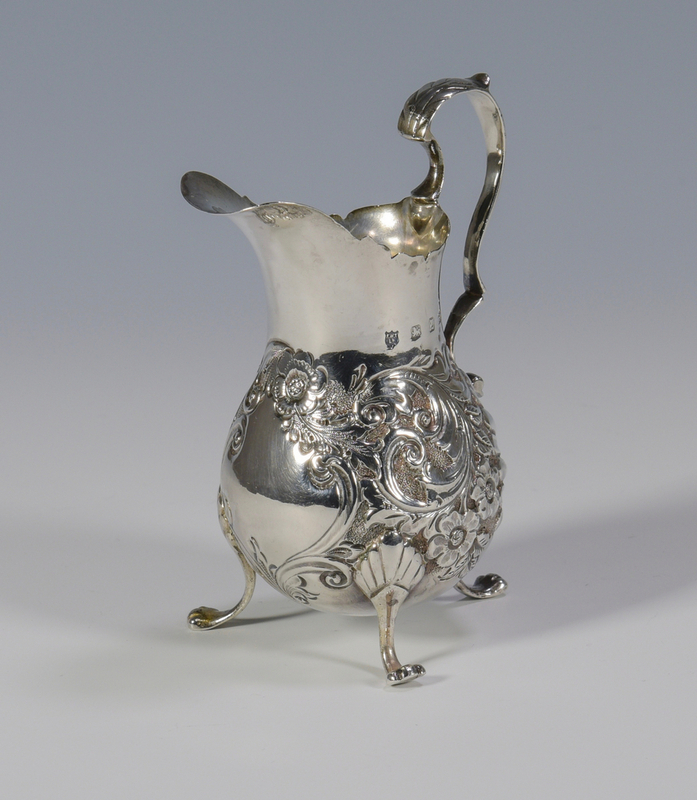 Creamer in very good condition.